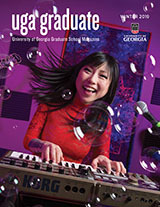 UGA’s Gwinnett Campus offers a variety of graduate degree programs, plus continuing education programs for professional development. Students study at a convenient location, just off I-85 in Lawrenceville. Counseling and Student Personnel Services Ph.D.
Educational Administration and Policy M.Ed., Ed.S. Learning, Leadership, and Organization Development M.Ed.